With navigon you can transform your android device into a fully functional GPS device, with no data charge for map loading because the maps are stored into your device memory, for free. This version comes with Active lane assistant, Reality view PRO, Speed assistant, Local search, Reality view PRO, Reality scanner, Extended pedestrian navigation, Google Street view (this will consume some data) and more other cool features. This is the advanced line assistant. This a shared folder were all the LATEST sygic apps and maps will be uploaded. Note that sygic is the most used iOS and Android app, It works with offline maps it`s the ONLY app that has the revolutionary Head up Display, witch is very usefull. Head-up display shows the following: Turn arrows, and the distance to the turns, actual speed, speed limits and estimated arrival time. It contains detailed maps for: Andorra , Austria , Belgium , Bulgaria , Canary Islands , Croatia , Cyprus , Czech Republic , Denmark , Estonia , Finland , France , Germany , Gibraltar , Greece , Hungary , Ireland , Italy , Latvia , Liechtenstein , Lithuania , Luxembourg , Malta , Monaco , Netherlands , Norway , Poland , Portugal , Romania San Marino , Slovakia , Slovenia , Spain , Sweden , Switzerland , Turkey , Ukraine , United Kingdom and Vatican. The wold`s most downloaded OFFLINE navigation system. This is how the next generation of navigation looks and works like. The app comes with Head-UP display – it shows the navigation guidance on car windscreen with now additional equipment! It supports traffic, so you can avoid traffic jams and it can be integrated into your car`s audio system via bluetooth or cable, so you can clearly hear the indications. You can customize the display screen the way you want,. It also has the ability to navigate to Postal Codes, street junctions, tagged photos, GPS coordonates and many more. There is no need of internet connection, it works with GPS receiver only. 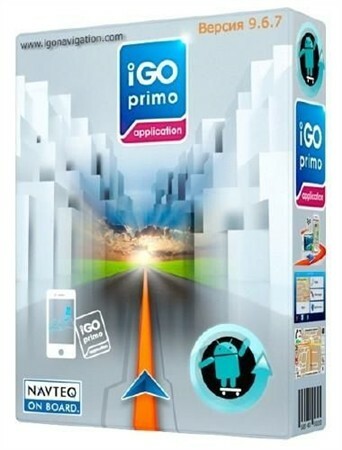 The working version of iGO primo is here! The app was released on 7 February 2013. The pack contains maps for all states in North America Continent. With Navigon you can turn your Android/iOS device into a fully functional navigation system. Germany, Spain, Poland, Portugal, Romania, San Marino, Latvia, Serbia, Slovakia, Slovenia, Albania, Belgium, Bulgaria, Denmark, Estonia, Ireland, Iceland, Italy, Kosovo, Croatia, Sweden, Switzerland, Czech Republic, Ukraine, Hungary, Vatican, Liechtenstein, Lithuania, Luxembourg, Bosnia-Herzegovina, Malta, Macedonia, Moldova, Monaco, Montenegro, Netherlands, Norway, Austria, Andorra,Finland, France, Gibraltar, Greece, The Isle of Man, United Kingdom, Belarus and Turkey. Want to travel in US and you want to to make sure that you will never get lost? Torrents are much better than file sharing sites because they never get deleted, their content is stored in user`s computer. The user who has downloaded the torrent, if he/she keeps the torrent client open and does not stop the torrent from seeding in the torrent app, it will be uploaded on other “leechers” computers. So, if you download a .torrent file you are a leecher, after you download it you are a seeder. I recommend you to keep the torrent for seeding so everyone will be able to download it. How to download a torrent? To download torrents you need a .torrent client. The no.1 .torrent client in the world is Utorrent. After you have downloaded and istaled uTorrent, click on the magnet links from our site and the torrent app should open automatically. Sometimes clicking on torrent links does not open the torrent app, in this case add the link manually by pasting it in File> Add torrent from URL. How to download a torrent legally? 2: Use the information given by the server administrator and connect to the server.